Before you can be a brilliant strategist, you must first learn how to execute. How to get it done. MW+C Marketing Strategy Survival Training is a seven-week full-time training program. 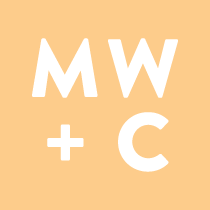 It’s designed to get recent or soon-to-be college graduates ready to do what we do here at MW+C. Whether your dream is to become a CMO, an agency account director, or a top-of-the-line strategic consultant, this program will jumpstart that path, setting you up for success at MW+C or elsewhere. The competition is fierce: we will accept only one applicant per seven-week session, and we offer only seven sessions per year. But if you’re accepted, you will receive seven weeks of the best on-the-job training the industry has to offer. You’ll learn the ins and outs of the business, from how to host a client to how to write a creative brief. And while a position at MW+C is by no means guaranteed, this is your best opportunity to get your foot in the door at the shop Ad Age consistently says is one of the best places to work in advertising. Survival Training is our opportunity to see whether you’re a fit for our team of experts, and for you to learn whether this is really what you want to do. To apply, please send a cover letter, completed application questionnaire, and résumé combined as a single PDF to Eric Layer at elayer@mwcmail.com.